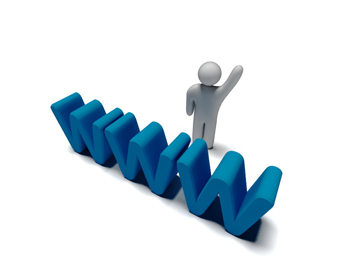 The world wide web (www), also referred as the web, is the collection of all accessible web-sites located all over the world. Thats why we see the three www letters in almost every website. Other important terms when it comes to the internet is understanding the diferences between a website, a webpage, and a web browser. Many people get confused with these simple terms which is why we are going to review each of them next. It's the collection of web pages that are created by one, or more people. The way you access a website is by typing its domain name in the address bar. For example www.fix-your-computer-today.com is a unique name address that allows you to view this web-site anywhere in the world. No two names are the same. (not to be confused with a website) is the collection of information appropriate for the web and it is accessed through your web browser. As its name implies, it is the one page of information that you are viewing from the web-site. For example you are currently viewing this web page pertaining to this web-site www.fix-your-computer-today.com/world-wide-web.html. To put it all together, a web browser is the tool that allows you to view the content on a web page at a web-site on the World-wide-web.